In this conversation with Laura Chandler, Isa Gucciardi describes many of the common issues people seek help with, including relationships, autoimmune issues, phobias, anxiety, and spiritual crisis. Isa also talks about a common phenomenon known as the “Inner critic” and how her book, Coming to Peace, offers insight on the inner critic and how to heal it. This interview takes place at the Sacred Stream Center in Berkeley, CA. 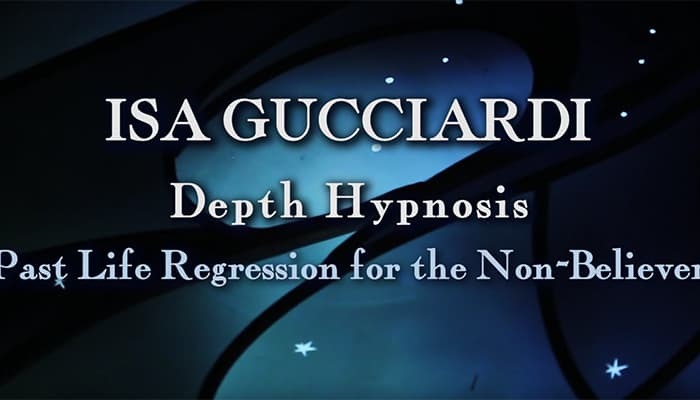 Isa Gucciardi and Laura Chandler discuss past life regressions and how they are addressed in Depth Hypnosis, the therapeutic model Isa developed. Isa explains how past life memories hold important energetic patterns that can help people heal current life issues. She also points out that it is not necessary to believe in past lives in order to benefit from a past life regression and the information that arises from them. This interview takes place at the Sacred Stream Center in Berkeley, CA. 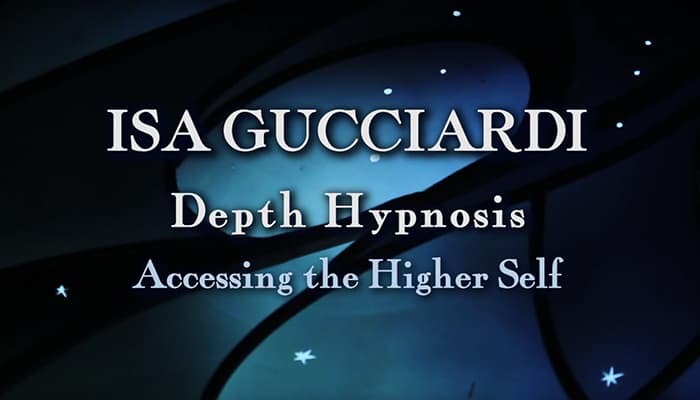 Isa Gucciardi and Laura Chandler discuss the highly effective therapeutic model Isa developed called Depth Hypnosis. 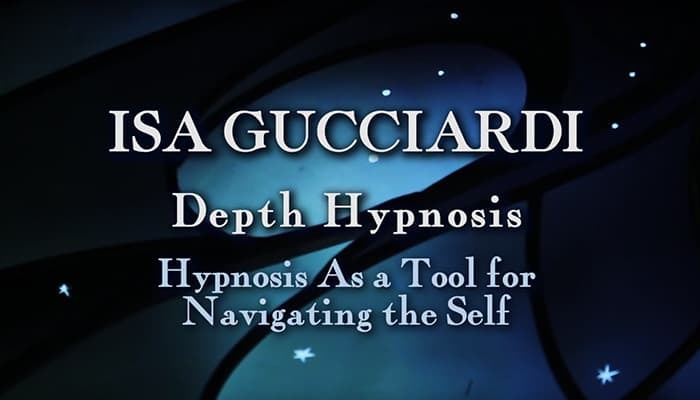 Dr. Gucciardi explains how Depth Hypnosis uses altered states — such as meditation, hypnosis, and the shamanic journey — to access aspects of the self that are not known in our conscious awareness to generate healing and create movement in the places in our lives where we are stuck. She also explains regression therapy and how it works in Depth Hypnosis. This interview takes place at the Sacred Stream Center in Berkeley, CA. 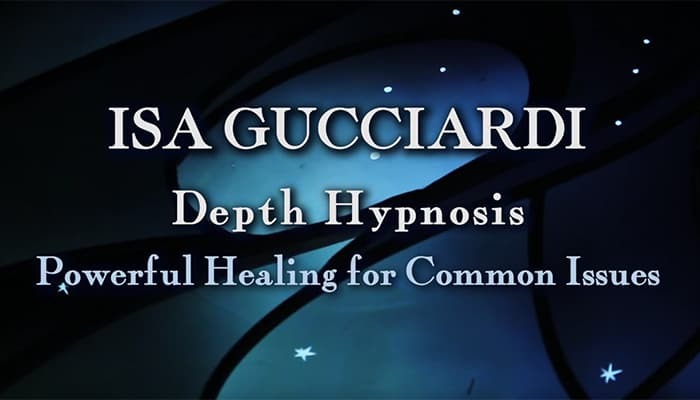 In this conversation with Laura Chandler, Isa Gucciardi discusses the importance of connecting to the higher self in order to heal past wounds and effect change in one’s life, and how Depth Hypnosis helps facilitate that. Isa explains the concept of “spiritual emergency” and what inspired her to create this innovative and highly effective therapeutic model. This interview takes place at the Sacred Stream Center in Berkeley, CA. 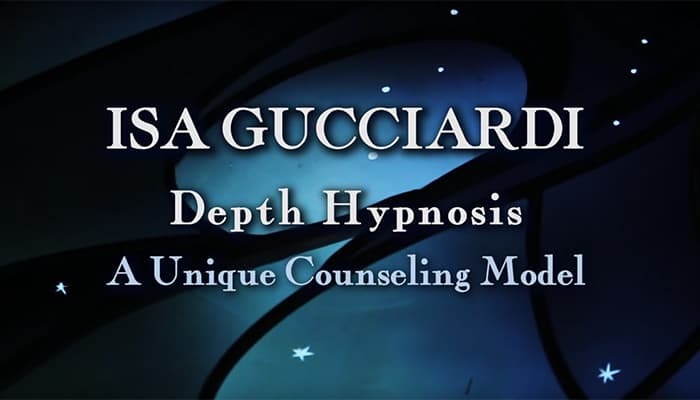 Isa Gucciardi and Laura Chandler discuss the highly effective therapeutic model Isa developed called Depth Hypnosis. Dr. Gucciardi explains how it allows participants to move into deeper levels of self-inquiry and transformation. Informed in part by shamanism and Buddhism, it offers innovative processes to help people shift deeply held patterns so that they can lead happier and healthier lives. This interview takes place at the Sacred Stream Center in Berkeley, CA. 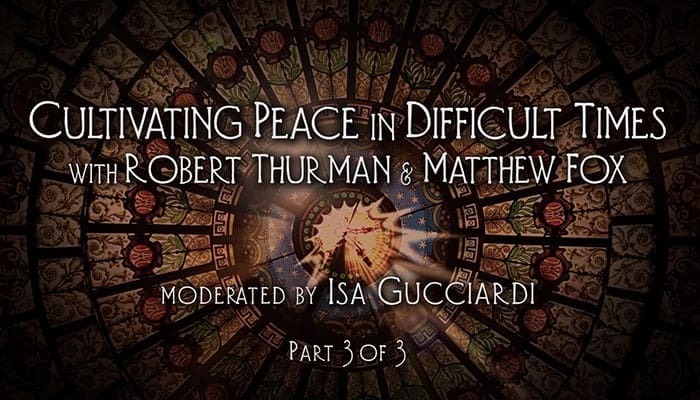 In part three of this historic meeting, leading Buddhist scholar Robert Thurman and Christian theologian Rev. Matthew Fox, discuss the men and women who inspire them, including the Dalai Lama, Gandhi, Meister Eckhart, and Hildegard of Bingen. They offer insight into creating more compassion in our lives and hope for cultivating a more compassionate world. Robert Thurman is the co-founder of Tibet House U.S., bestselling author, and recognized worldwide as an authority on religion, spirituality, Asian history, Tibetan Buddhism, and the Dalai Lama. Matthew Fox is an expert on Christian mysticism and Creation Spirituality. He has written over 35 books and is the bestselling author of The Coming of the Cosmic Christ. Isa Gucciardi moderates this talk that takes place at the Sacred Stream Center, a school for consciousness studies, in Berkeley, CA. 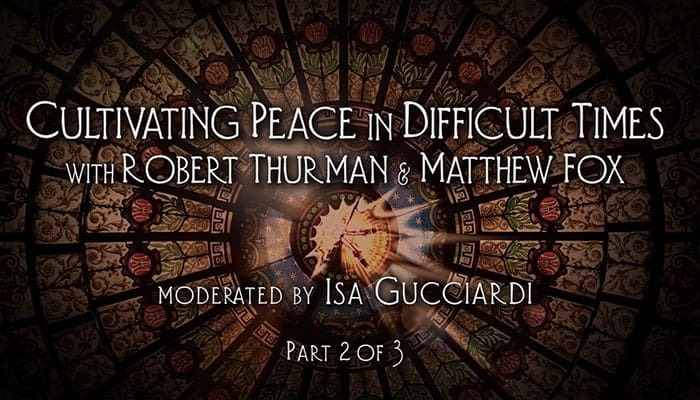 In part two of this historic conversation, Buddhist scholar Robert Thurman and Christian theologian Rev. Matthew Fox discuss their experience as monastics in their respective traditions, and what we can learn from societies throughout history that have been largely peaceful. Referencing the great teachers who have influenced them, they dive into a thoughtful and often humorous examination of how we might cultivate peace in our time. Robert Thurman is the co-founder of Tibet House U.S., bestselling author, and recognized worldwide as an authority on religion, spirituality, Asian history, Tibetan Buddhism, and the Dalai Lama. Matthew Fox is an expert on Christian mysticism and Creation Spirituality and the bestselling author of The Coming of the Cosmic Christ. This talk takes place at the Sacred Stream Center, a school for consciousness studies in Berkeley, CA. 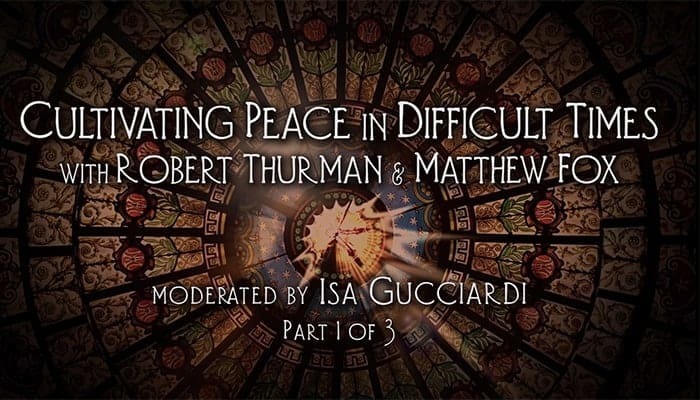 In this historic discussion, Buddhist scholar Robert Thurman and Christian theologian Rev. Matthew Fox examine the difficulties of our times, and offer thoughtful and sometimes humorous ways of cultivating peace individually and collectively. In this segment, Bob and Matt talk about what led them to their respective spiritual paths and how they have navigated the obstacles along the way. Robert Thurman is the co-founder of Tibet House U.S., bestselling author, and recognized worldwide as an authority on religion, spirituality, Asian history, Tibetan Buddhism, and the Dalai Lama. Matthew Fox is an expert on Christian mysticism and Creation Spirituality and the bestselling author of The Coming of the Cosmic Christ. 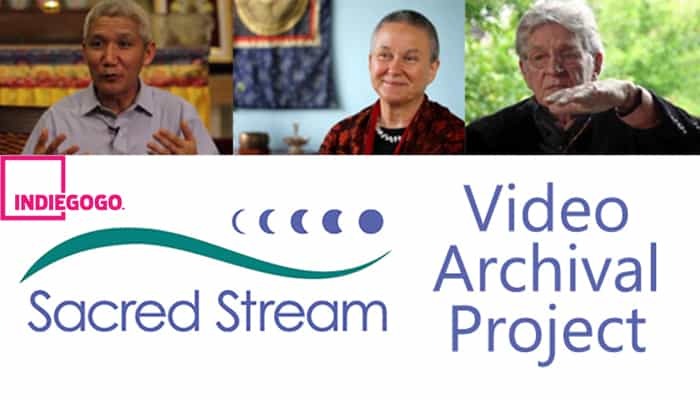 Help us preserve timeless wisdom and culture and make it accessible for free to everyone with our Video Archival Project – now live thru July 18 on IndieGoGo. 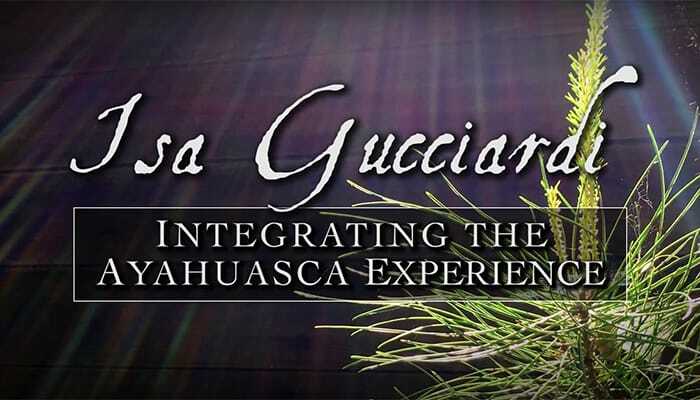 Isa Gucciardi explores the differences between traditional shamanic cultures and contemporary cultures in working with plant medicines like ayahuasca. She is the author of Coming to Peace, the Founding Director of the Foundation of the Sacred Stream, and the creator of the ground-breaking therapeutic model, Depth Hypnosis. This talk takes place at the Sacred Stream Center in Berkeley, CA.